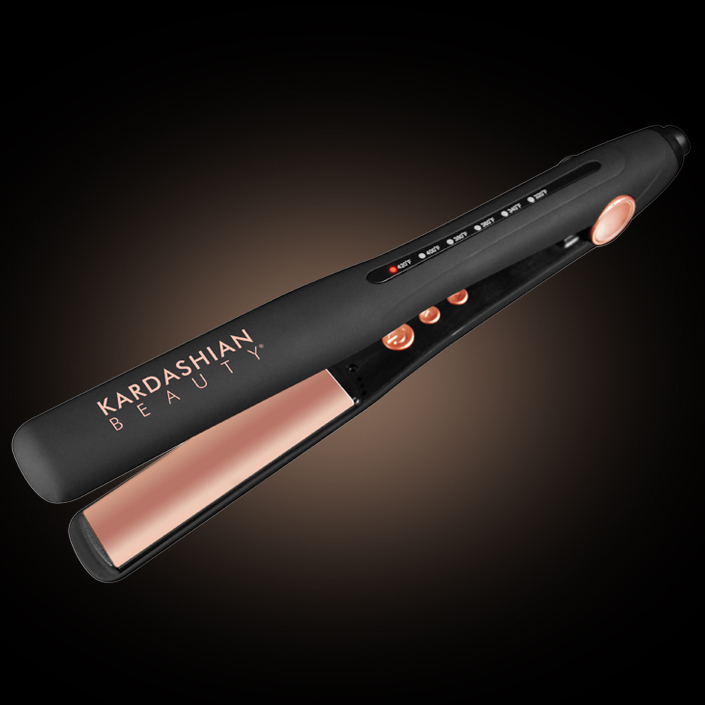 Instantly create sleek and smooth hairstyles with the premium 1” hairstyling iron. Designed with extended 4” long plates to provide more styling coverage in a single pass, this iron quickly and easily styles multiple hair types. Reaching up to 420°F, it also features color coded indicators for fine, medium and coarse hair when presetting temperature settings. Ceramic plates infused with Black Seed Oil promote long lasting smoothness and shine within any styling routine. Plug the appliance into the correct power supply. Press the power button once to turn on the iron. Use the up and down arrow buttons to adjust the temperature settings according to hair type. Fine Hair: 320°F - 340°F. Medium Hair: 360°F - 380°F. Coarse Hair: 400°F - 420°F. To turn off the iron press and hold the power button. Unplug the iron directly from the wall; do not pull on the cord.